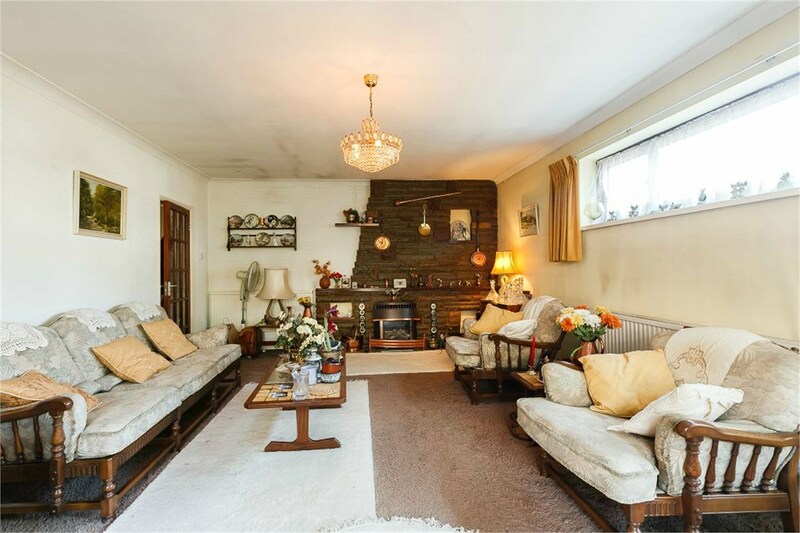 A three bedroom spacious detached bungalow in need of modernisation, set in an elevated position. A major feature of the property is a significant potential to extend STPP. 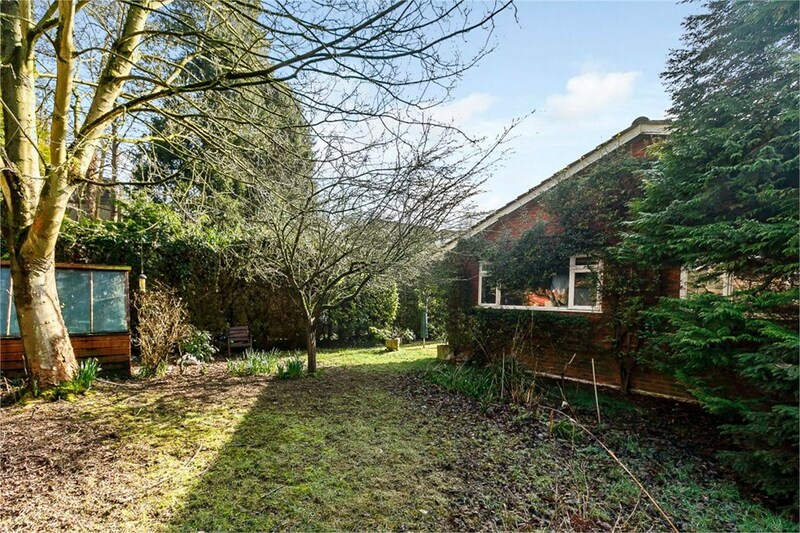 A spacious three bedroom detached bungalow which is now in need of modernisation. 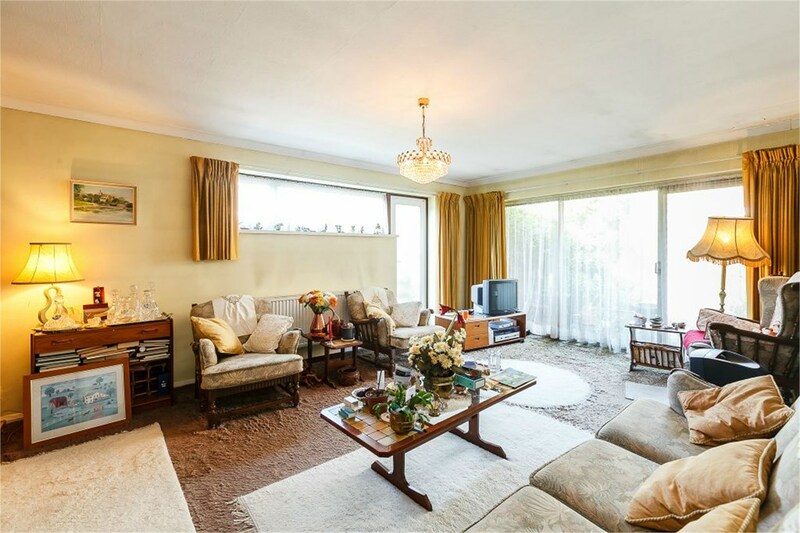 The property offers a large entrance hall leading to all rooms: The sitting room has an electric fire, sliding doors to a patio and door to a balcony. The kitchen is fitted with a range of base and wall mounted units over-looking the garden with an archway opening to the dining room. The master bedroom has an en-suite bathroom with shower and fully tiled wall, there are two further bedrooms which are both double and a family bathroom. 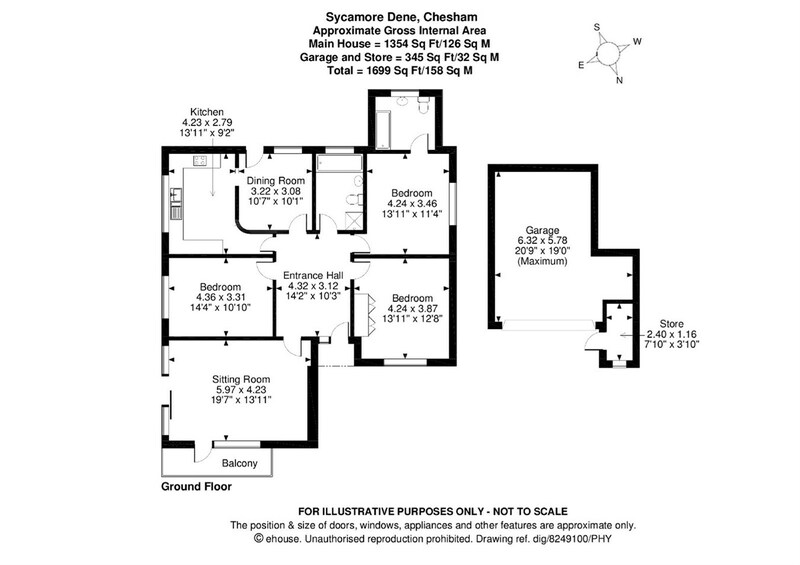 The property could be extended subject to the necessary planning consents. 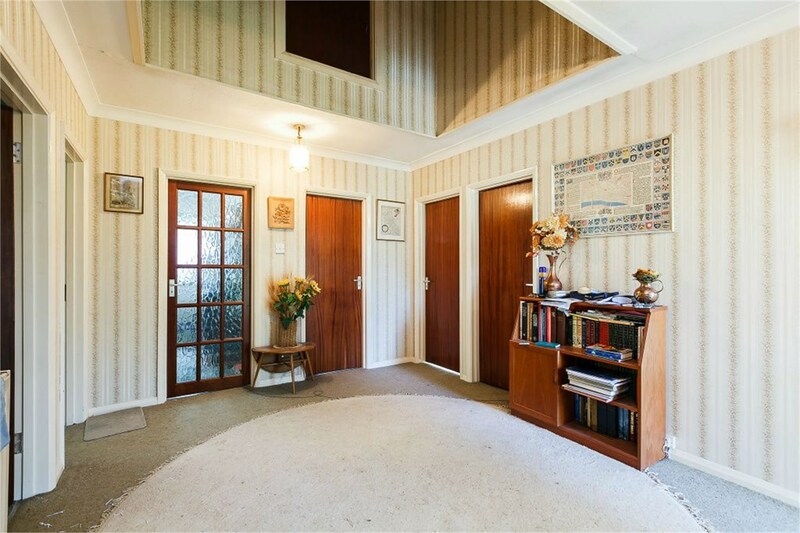 It was originally built in the 1960's with the potential to add a first floor, however this was never completed. 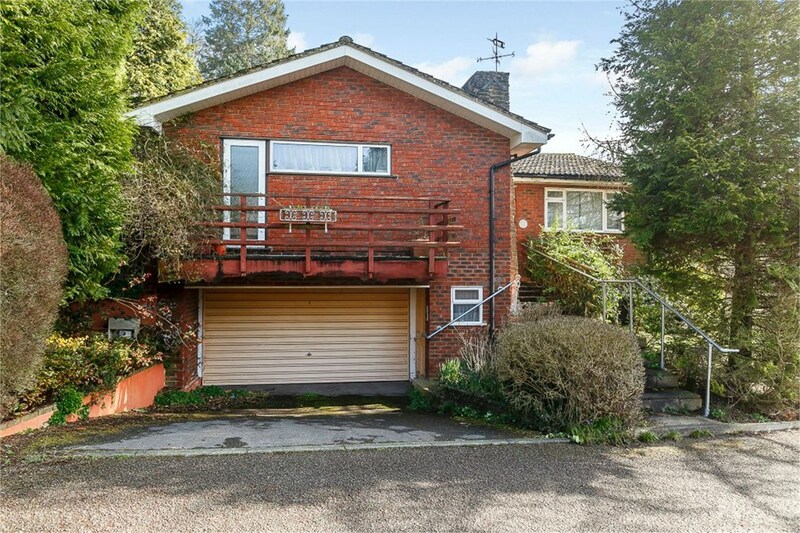 Outside the property, the double garage with electric up and over door is located underneath the bungalow along with the boiler room, the driveway provides parking for two cars. 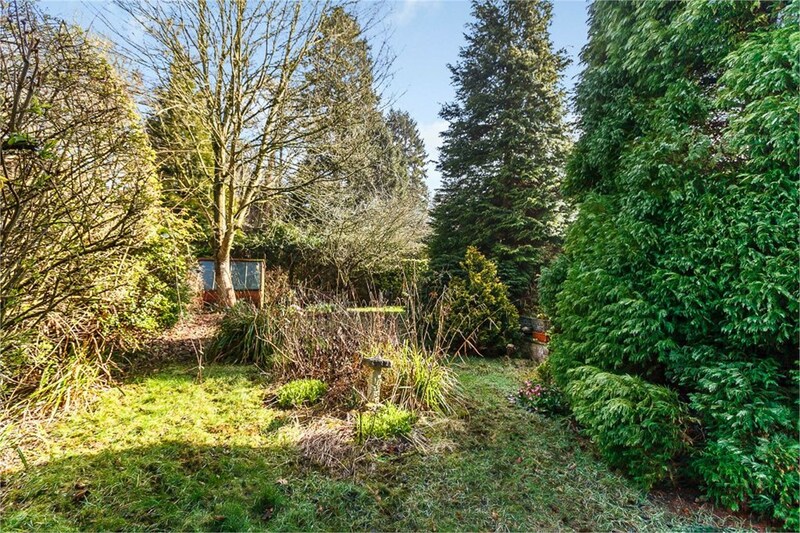 The main part of the garden being south/east facing is located to the left hand side of the property with numerous conifer trees, bushes, shrubs and garden shed, there is also a patio area outside the sitting room. 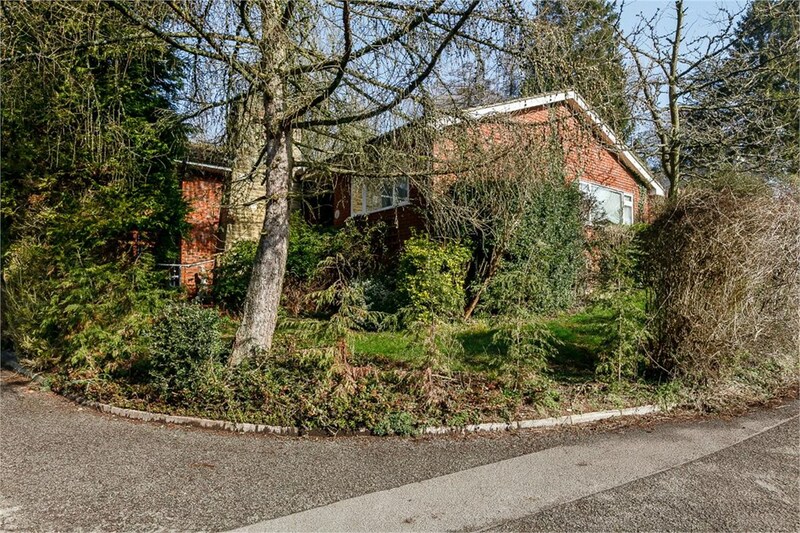 There is a small paved area at the rear of the property with a further area of lawn to the side. 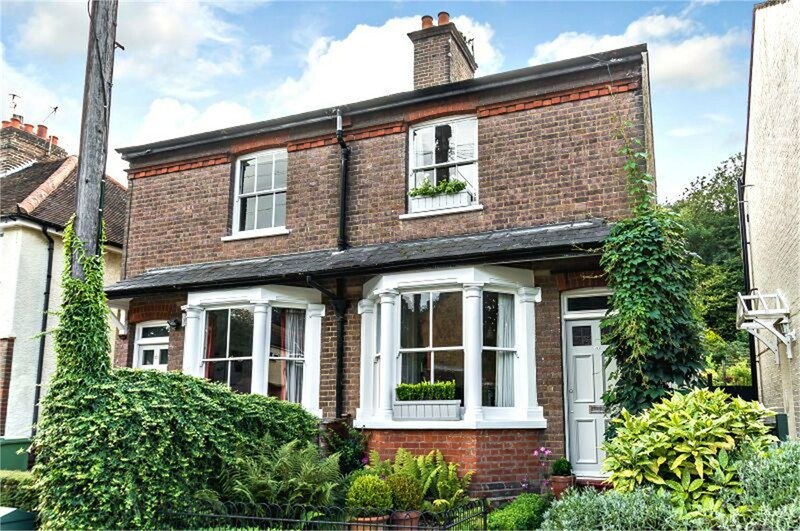 Chesham is a market town in the Chiltern Hills, surrounded by beautiful countryside, comprising of old and new homes situated deep with the Chess Valley. 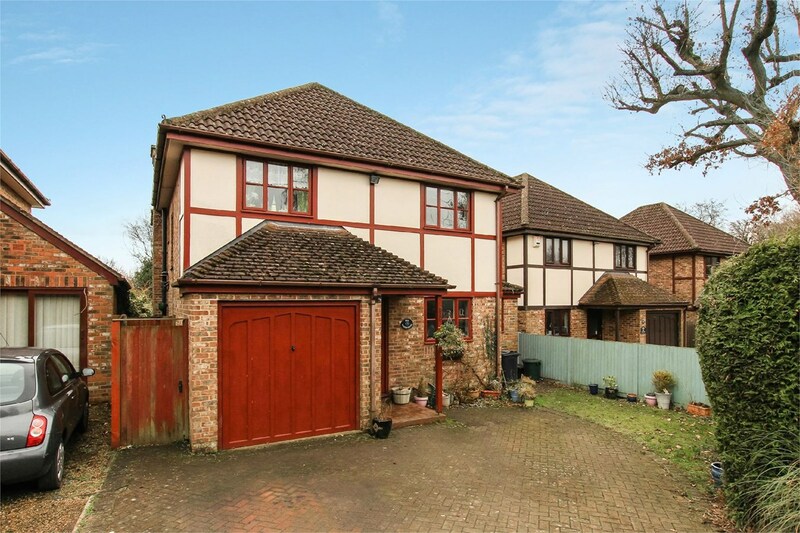 The area is renown for excellent schools in both the public and private sectors including, Chesham Grammar School, Dr Challoners Grammar School in Amersham and Little Chalfont, Haresfoot Preparatory, Chesham Preparatory and Berkhamsted School. Mains, water, gas, electric and drainage. Chesham offers a multiple of shopping facilities and amenities with it's pedestrian High Street including Waitrose and Sainsbury's. 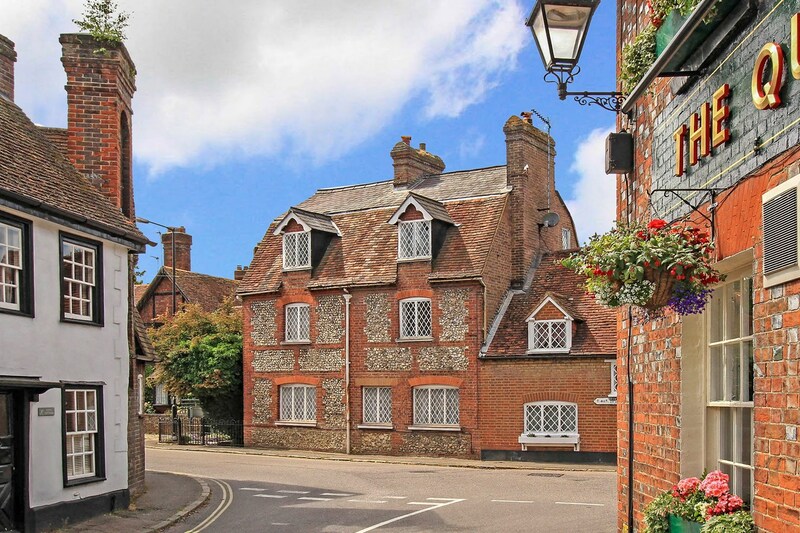 The nearby towns of Amersham and Berkhamsted provide a further range of shops. Chesham is a London Underground station served by the Metropolitan line to Baker Street. 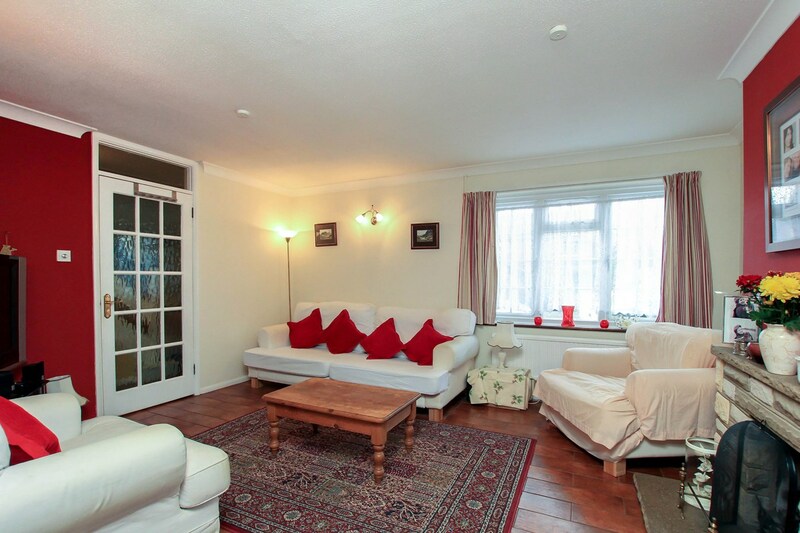 Nearby Berkhamsted station offers services to London Euston. Chesham offers many facilities to suit all including Lowndes Park, Chesham open-air swimming pool, The Elgiva Theatre and Chartridge Golf Club. Nearby The Ashridge Estate has approximately 5,000 acres of woodland, commons and chalk downs is perfect for exploring. 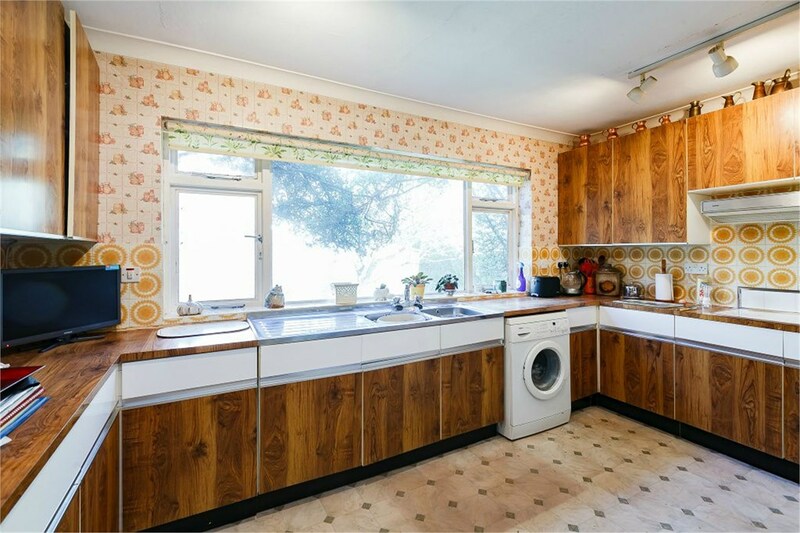 A spacious three bedroom detached bungalow which is now in need of modernisation.The property offers a large entrance hall leading to all rooms: The sitting room has an electric fire, sliding doors to a patio and door to a balcony.The kitchen is fitted with a range of base and wall mounted units over-looking the garden with an archway opening to the dining room.The master bedroom has an en-suite bathroom with shower and fully tiled wall, there are two further bedrooms which are both double and a family bathroom. 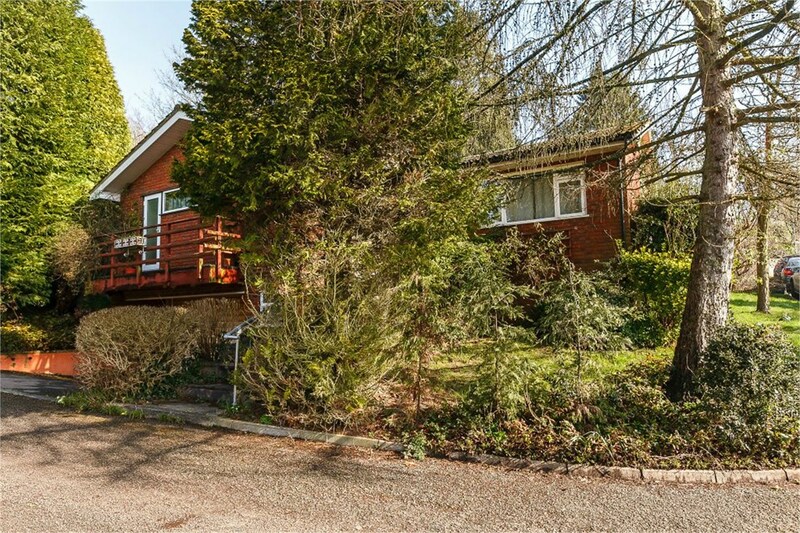 The property could be extended subject to the necessary planning consents.It was originally built in the 1960's with the potential to add a first floor, however this was never completed. 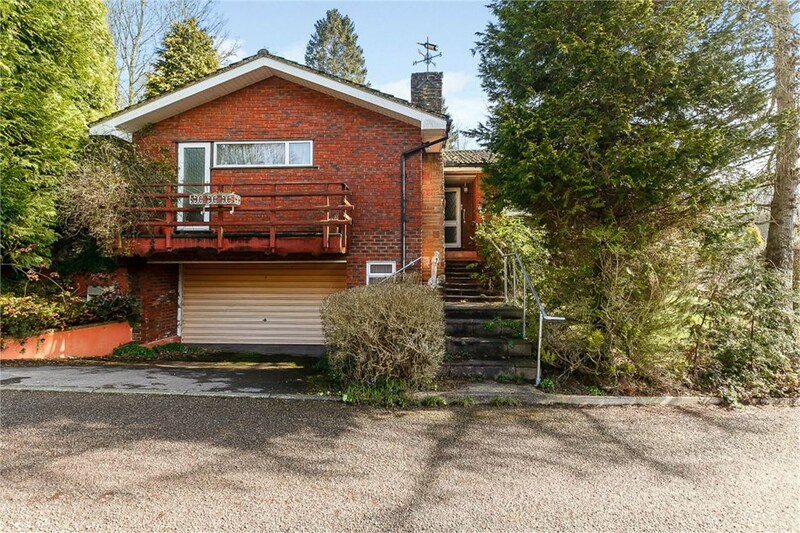 Outside the property, the double garage with electric up and over door is located underneath the bungalow along with the boiler room, the driveway provides parking for two cars.The main part of the garden being south/east facing is located to the left hand side of the property with numerous conifer trees, bushes, shrubs and garden shed, there is also a patio area outside the sitting room.There is a small paved area at the rear of the property with a further area of lawn to the side. 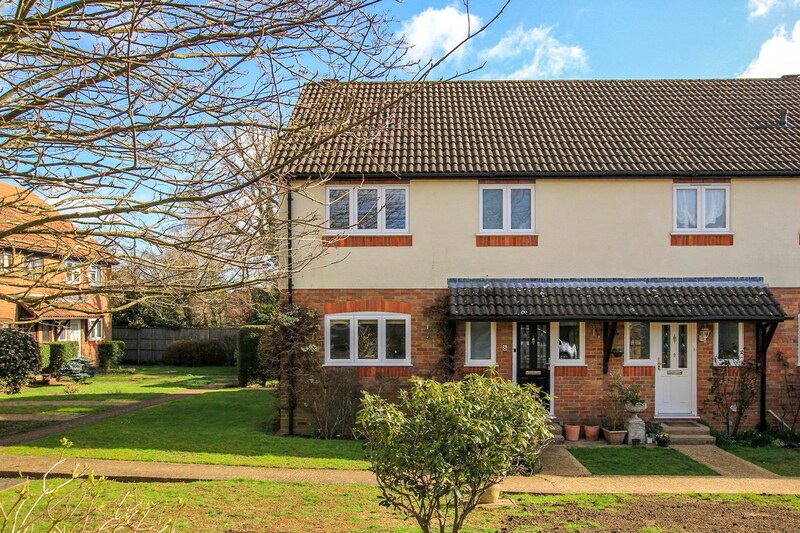 Chesham offers a multiple of shopping facilities and amenities with it's pedestrian High Street including Waitrose and Sainsbury's.The nearby towns of Amersham and Berkhamsted provide a further range of shops. Chesham is a London Underground station served by the Metropolitan line to Baker Street.Nearby Berkhamsted station offers services to London Euston. 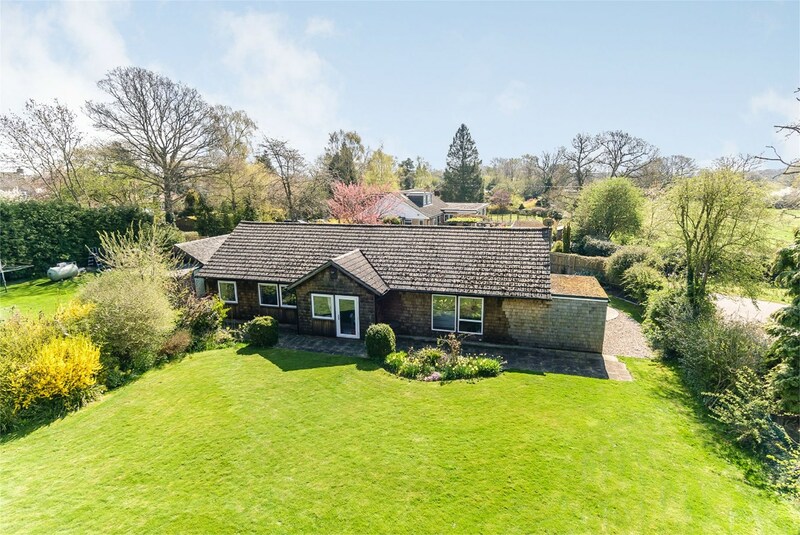 Chesham offers many facilities to suit all including Lowndes Park, Chesham open-air swimming pool, The Elgiva Theatre and Chartridge Golf Club.Nearby The Ashridge Estate has approximately 5,000 acres of woodland, commons and chalk downs is perfect for exploring.